The utmost cushioning for your floor and rug, cloud comfort by Rug Pad USA brings the same memory comfort found in a mattress to any living area. 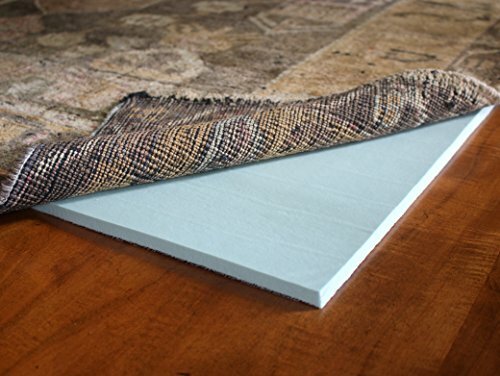 Its 100% visco-elastic memory foam is engineered to provide a supportive layer of protection for larger area rugs that do not require non-slip attributes. Cloud comfort contributes to led credits and is made with natural minerals and soybean oils vs. Petro oils, resulting in very low VOC content. Its proprietary moisture barrier protects floors by blocking spills while at the same time allowing vapor to escape. It offers the highest levels of sound absorption, comfort and insulation available in a rug pad and pairs well with larger rugs that lie flat on their own. Pure Cushion: made from 100% visco-elastic memory foam to provide the highest level of comfort. BEST for: hardwood floors and polyurethane finishes, stone, tile, concrete, laminate, & vinyl floors. Cloud comfort memory foam is a comfort pad and is not recommended for rugs where Slippage may be an issue. If you have any questions about this product by Rug Pad USA, contact us by completing and submitting the form below. If you are looking for a specif part number, please include it with your message.